Skin is always busy fighting with the enormous quantities of free radicals produced by virtue of biological reactions and critically because of external insults such as UV radiations, pollution and chemicals. 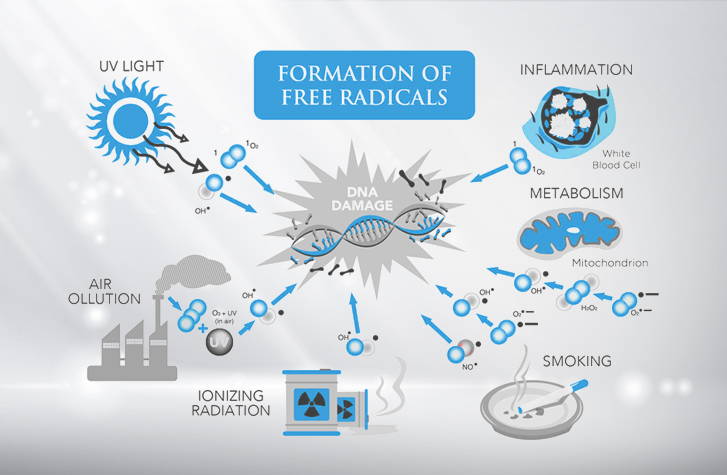 This free radical overload (FRO) interferes in the cellular metabolism as well as leads to collagen degradation and melanin over production. Balancing this FRO is important to ensure health of the skin and also to prevent the loss of collagen. Phyllanthus embelica extract in Escor-Z is considered as a rich source of vitamin C. It helps fight free radicals, boosts collagen and lightens the skin. Presented in effervescent format it’s the right choice of your daily health drink. Q : How much mg is it in ? A : Don't know purchased for my friend. A : It’s 1000 mg of Vit C and 10 mg of Zinc. Q : What is the difference between this and EnerC 1000? A : EnerC is normal vit C tablets which is in orange falvour, whereas EscorZ is lemon flavored vitamin C tablets with additional zinc in it. Q : Z stands for zinc in EscorZ, may I know what is the difference between this and normal vitamin C tablets ? A : Normal Vitamin C if you talk about like EnerC just have benefits of Vit C but EscorZ has zinc in it and Zinc is an essential mineral involved in the immune system, wound healing, and DNA synthesis, I hope this helps. Q : Escor Z is enriched with Phyllanthus embelica extract, iska matlab? A : Phyllanthus embelica extract ka matlab hai Amla ka extract jisse gooseberry bhi khete hain, jisko sabse acha source mana jata hai vitamin c ka and natural extract se bana hai tho automatically acha hi hoga. Q : Kya me isko Glutone glutathionee tablets ke sath le sakta hun? A : Yes, ye same EnerC ki tarah kam karta hai, with additional zinc element and benefits ke sath. Q : Does this medicine have any side effect? Q : Is this also like EnerC, water me mix hone wala? A : Yes, these tablets are also water soluble, pani me dal ke 2 min me mix hojatay hai aur app fir isko pee saktay hain. Q : Does this have any special instruction to have on how to consume it? A : Pretty basic, just take a glass of water and add 1 tablet of this and wait for it to dissolve completely in water and then you can consume it just like some soft drink. Q : Can we take this along with glutone 1000 instead of EnerC 1000? A : Yes, absolutely. The only change you will taste will in the falvour as EnerC is orange falvour and EscorZ is lemon flavor, which I personally like. Q : Ky koi muje bata sakta hai synthetic vitamin C acha hai ya natural extract vala, and dono ke effectiveness me koi difference tho nahi hai. A : According to me Natural is always better, synthetic se and ye utna hi effective hoga and mere hissab se shyad jadaa effective bhi. A : My doctor had prescribed EscorZ as glutathione needs minimum 1000mg of citric acid and trace minerals found in EscorZ to be effective. Hope this helps. Q : Can I use it with Gultone 1000? A : Yes, you can use this with Glutone 1000. This is actually even better than the Ener C because regular use of Glutathione reduces Zinc in the body, and this helps in maintaining it. A : Yes you can....i am also using. Q : Can I consume it on empty stomach???? Q : Will Escor-z alone works without glutone..?? If it (escor-z) is used regularly.. with glutone face wash..?? A : GLUTONE 1000mg works best with Escor-Z as they both help in curing pigmentation. Yes it's costly but you have to invest for healthy and beautiful skin. A : Escor z is good. I have not used glutone, will not be able to comment on it. Q : Is it Ok taking gluton-1000 or Escor-z during 8months of pregnency? A : Yes u can take it in morning without glutathione, will definitely help to make ur skin light & healthy. But brother, if u take it along with the glutathione (glutone1000mg), U'll get better, faster & amazing results. A : Escor-z cannot stay into the body without taking gluthanione. It is useless to take it alone. Q : Hi frnds... Can i take this tablet in empty stomach ? A : It is recommended to take this tablet dissolved in water on empty stomach every morning an hour before the breakfast. A : It should be taken in empty stomach but if it is taken after breakfast it also works fine. A : Product is genuine. But delivery is very late. A : Yes can take on regular basis.daily requirement of vit c is 80-90 milligrams for an adult.I prefer using minimum of 20 days in a month.???? Q : Can a non vegetarian consume ths tablets.? Q : Is this Sugar Free..can diabetic consume this! Q : How long can i take? How much mg is it in ? Don't know purchased for my friend. It’s 1000 mg of Vit C and 10 mg of Zinc. What is the difference between this and EnerC 1000? EnerC is normal vit C tablets which is in orange falvour, whereas EscorZ is lemon flavored vitamin C tablets with additional zinc in it. Z stands for zinc in EscorZ, may I know what is the difference between this and normal vitamin C tablets ? Normal Vitamin C if you talk about like EnerC just have benefits of Vit C but EscorZ has zinc in it and Zinc is an essential mineral involved in the immune system, wound healing, and DNA synthesis, I hope this helps. Escor Z is enriched with Phyllanthus embelica extract, iska matlab? Phyllanthus embelica extract ka matlab hai Amla ka extract jisse gooseberry bhi khete hain, jisko sabse acha source mana jata hai vitamin c ka and natural extract se bana hai tho automatically acha hi hoga. Kya me isko Glutone glutathionee tablets ke sath le sakta hun? Yes, ye same EnerC ki tarah kam karta hai, with additional zinc element and benefits ke sath. Does this medicine have any side effect? Is this also like EnerC, water me mix hone wala? Yes, these tablets are also water soluble, pani me dal ke 2 min me mix hojatay hai aur app fir isko pee saktay hain. Does this have any special instruction to have on how to consume it? Pretty basic, just take a glass of water and add 1 tablet of this and wait for it to dissolve completely in water and then you can consume it just like some soft drink. Can we take this along with glutone 1000 instead of EnerC 1000? Yes, absolutely. The only change you will taste will in the falvour as EnerC is orange falvour and EscorZ is lemon flavor, which I personally like. Ky koi muje bata sakta hai synthetic vitamin C acha hai ya natural extract vala, and dono ke effectiveness me koi difference tho nahi hai. According to me Natural is always better, synthetic se and ye utna hi effective hoga and mere hissab se shyad jadaa effective bhi. My doctor had prescribed EscorZ as glutathione needs minimum 1000mg of citric acid and trace minerals found in EscorZ to be effective. Hope this helps. Can I use it with Gultone 1000? Yes, you can use this with Glutone 1000. This is actually even better than the Ener C because regular use of Glutathione reduces Zinc in the body, and this helps in maintaining it. Yes you can....i am also using. Can I consume it on empty stomach???? Will Escor-z alone works without glutone..?? If it (escor-z) is used regularly.. with glutone face wash..?? 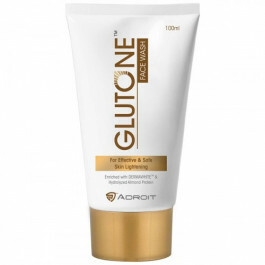 GLUTONE 1000mg works best with Escor-Z as they both help in curing pigmentation. Yes it's costly but you have to invest for healthy and beautiful skin. Escor z is good. I have not used glutone, will not be able to comment on it. Is it Ok taking gluton-1000 or Escor-z during 8months of pregnency? Yes u can take it in morning without glutathione, will definitely help to make ur skin light & healthy. But brother, if u take it along with the glutathione (glutone1000mg), U'll get better, faster & amazing results. Escor-z cannot stay into the body without taking gluthanione. It is useless to take it alone. Hi frnds... Can i take this tablet in empty stomach ? It is recommended to take this tablet dissolved in water on empty stomach every morning an hour before the breakfast. It should be taken in empty stomach but if it is taken after breakfast it also works fine. Product is genuine. But delivery is very late. Yes can take on regular basis.daily requirement of vit c is 80-90 milligrams for an adult.I prefer using minimum of 20 days in a month.???? Can a non vegetarian consume ths tablets.? Is this Sugar Free..can diabetic consume this!